We meet our clients needs by offering discounts, having affordable rates,and being easy to schedule. There's a reason that we're open 6 days per week when most companies aren't! 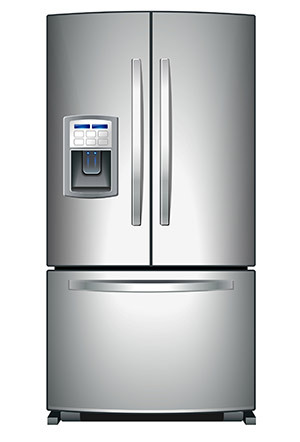 Call us today whether you need refrigerator parts or a refrigerator repair in Redondo Beach CA. We would love to make your life easier, so that you don't have to worry about how you are going to get your appliances repaired. Make the simple choice that's being made all over Redondo Beach CA. Let us fix your appliance so that you don't have to! We take pride in making sure that we are meeting the needs of all of our clients. Call us today and let us know how we can make your repair simple. We're looking forward to hearing from you! Do you know when it's time to defrost your refrigerator? An easy way to tell is by monitoring the thickness of frost build-up. After it reaches half an inch in thickness, it's time to defrost. To do so, take everything out of the refrigerator and freezer. Then, unplug the refrigerator from the wall. Wait for all the frost to melt and plug the appliance back in. You can put everything back in after the appliance returns to its previous temperature.